Iron phosphate is a chemical compound commonly used to control slugs and snails in gardens and on farms. Generally sold as granules, it is considered much less toxic to non-target organisms than the leading competition – metaldehyde. Additionally, it is one of only a few molluscicides approved for use in organic growing. When ingested by mollusks, iron phosphate damages digestive tissue. This damage causes slugs and snails to feed more slowly and eventually stop eating, leading to starvation. 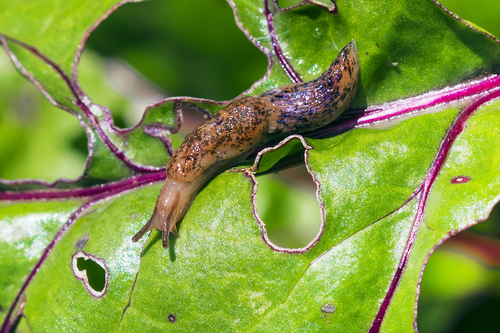 Iron phosphate has become the go-to slug and snail control for organic gardeners for its ease of use and efficacy. 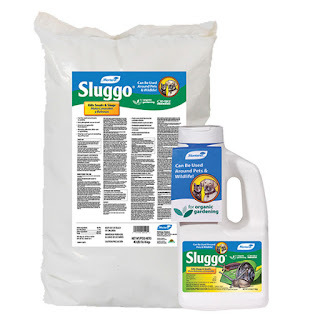 Simply apply it around areas where the slimy guys might be to start getting the most out of your garden instead of feeding it to the slugs. It is as reliable of a slug/snail treatment as there is on the market. Its easy to use nature and efficient mode of action allows for control without additional inputs from the grower. In addition, iron phosphate tends to stick to soil particles, reducing runoff and unwanted effects on waterways or aquatic life. In short, iron phosphate is as effective as anything else out there without the same level of environmental risk. It lets growers limit crop damage and reduce pest numbers quickly and easily while working well with other Integrated Pest Management techniques. If you have pets or children, iron phosphate is the safest bet to control the problem without putting them at risk. - Contributed by Sterling N.